The fifth edition of Bruno Schulz. Festival has launched! A week full of great, unforgettable events is ahead of us. We invite you to a journey to the world of music, culture and poetry. Not only there will be appealing discussions, stunning concerts and thrilling conferences but also fantastic atmosphere and opportunities to meet and talk with many interesting and impressive artists not only from Poland. Next edition of Bruno Schulz is upcoming. The fifth edition of Bruno Schulz. Festival is approaching. It will take place from 10th to 16th of October in Wrocław. This year our festival is a part of the European Capital of Culture and UNESCO World Book Capital Wrocław 2016. For three years now Bruno Schulz. Festival supports the Literary Prize of Middle Europe ANGELUS, of which the awarding ceremony will be held on the October 15th. Nominated to the prize are: Maciej Hen, Anna Janko, Uładzimir Niaklajeu, Kristina Sabaliauskaitė, Alvydas Šlepikas, Cristian Teodorescu i Varujan Vosganian – everyone of course, will be the guests of our festival. Beyond them, this year Olga Tokarczuk will hold a conversation with Martin Pollack, we will also meet last year’s Angelus leureate Serhij Żadan, and his music band Sobaki w kosmosie, there will be also an occasion to hear live in Project Schulz concert Małe Istrumenty held in the Synagogue Under a White Stork. 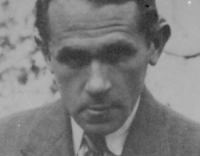 In addition, Wojciech Pszoniak will remember Tadeusz Różewicz. Michał Nogaś will talk with Zbigniej Mentzel, while among others Paweł Huelle and Robert Makłowicz are going to remind us Joseph Roth, whereas Ireneusz Kania, Marek Bieńczyk and Nicolas Cavailles will conversate about Emil Cioran. 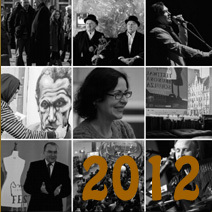 That is just a minor part of the events prepared for this year’s Bruno Schulz. Festival. About other outstanding guests and subjects, we will inform soon, because as always we desire to invite you to a great deal of meetings with authors, panel discussions and performances. The festival will be accompanied by a science session. As every year, however this time extraordinary, since it is dedicated to Stanisław Barańczuk on his seventeenth birthday, and organized by three universities: Wrocław University, Jagiellonian University and The name of Madam Mickiewicz University. As before, our guests will also lead lessons for teenagers, meeting middle high school and high school students in Wrocław. The poetic slam and city game will take place as well. We will get to know the winner on October 15. 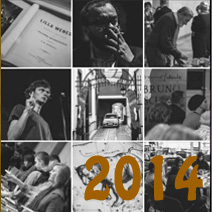 We are glad to announce, that the fifth edition of Bruno Schulz. Festival will take place from 10th to 16th of October in Wrocław! It will be a part of the literary program of the European Capital of Culture and the UNESCO World Book Capital Wrocław 2016. More details will appear soon.